Charles was halfway through a math class in their village, Andasire, in South Sudan’s Central Equatoria state, when the shooting started. He ran for the bush, and after a sleepless night in hiding, set off for the Ugandan border with his younger brother, Seme, 14. Their mother, Mrs. Ijo, feeling unwell, had checked herself into a hospital that morning. The boys knew that to try to find her would be too dangerous. 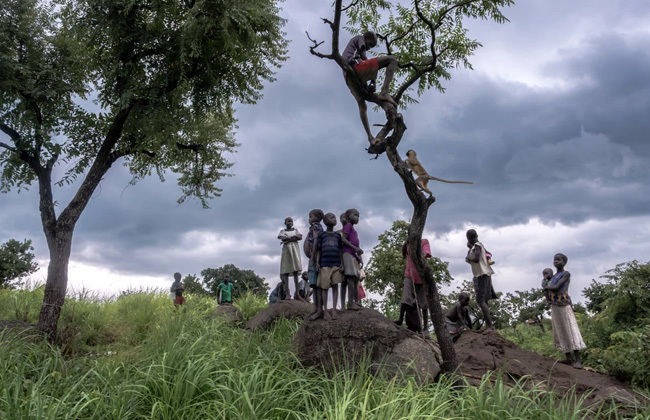 The two brothers are among 17,600 minors who have crossed the border into Uganda without their parents since the outbreak of South Sudan’s civil war in 2013, according to the United Nations refugee agency. Over the last year, the pace of the conflict and the flow of refugees have slowed, but aid workers say it will take years to reunite splintered families. Over the last two years, 433 unaccompanied minors have been reunited with their parents in Uganda. Worldwide, the International Committee of the Red Cross has opened 99,342 cases as it tries to reunite families.